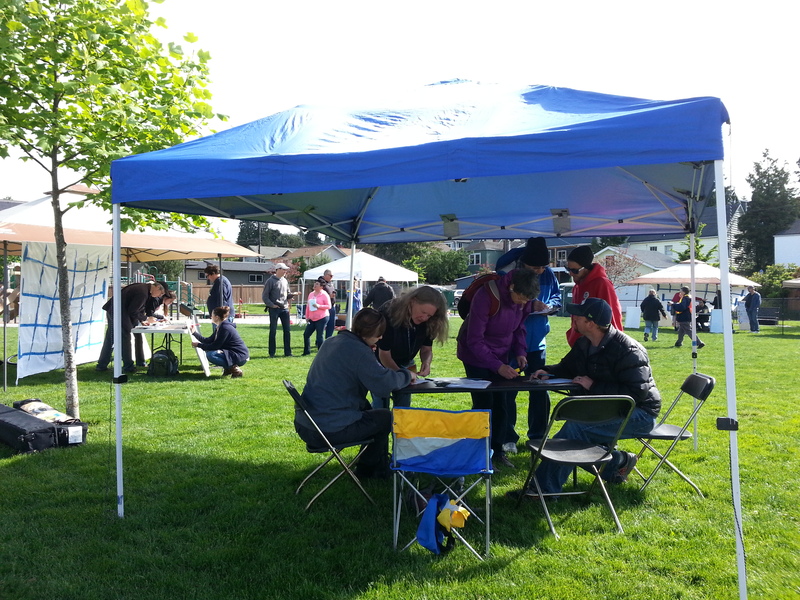 We had a great turn-out in West Seattle earlier this month for the citywide emergency communications drill. 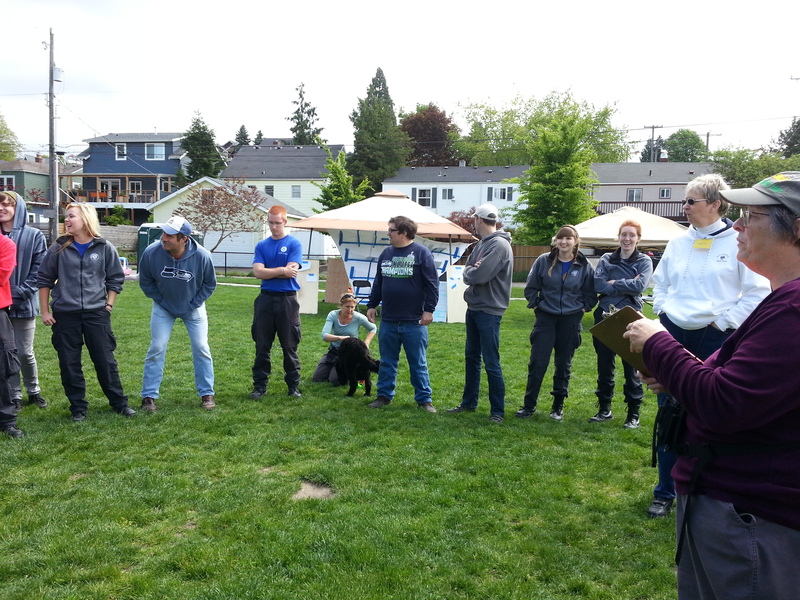 On May 17th, we set up two hubs at Ercolini Park, staffed with West Seattle Be Prepared hub volunteers, citizen actors, observers from other neighborhoods and some visiting AmeriCorps/FEMA members. 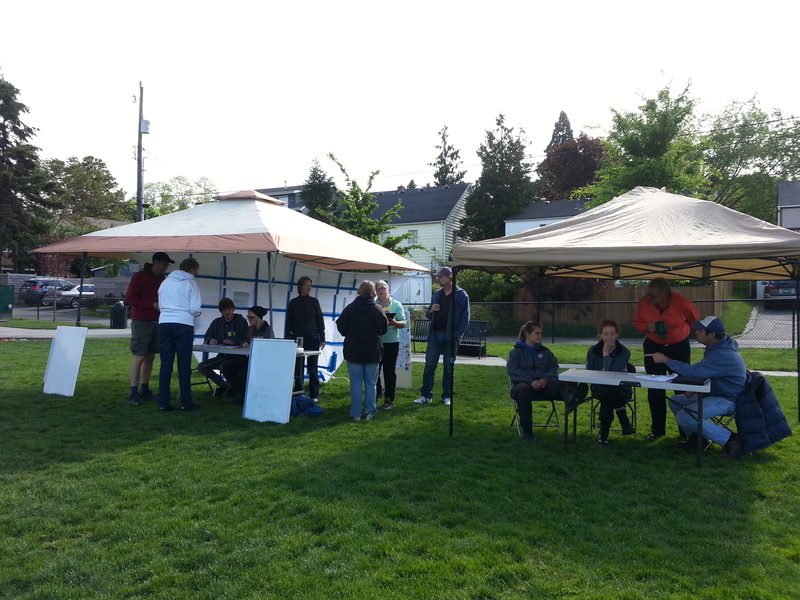 Citywide disaster drill, 5/17/14: West Seattle hubs at Ercolini Park. Each hub was set up with 3 tents; this is the Radio Operator’s tent. 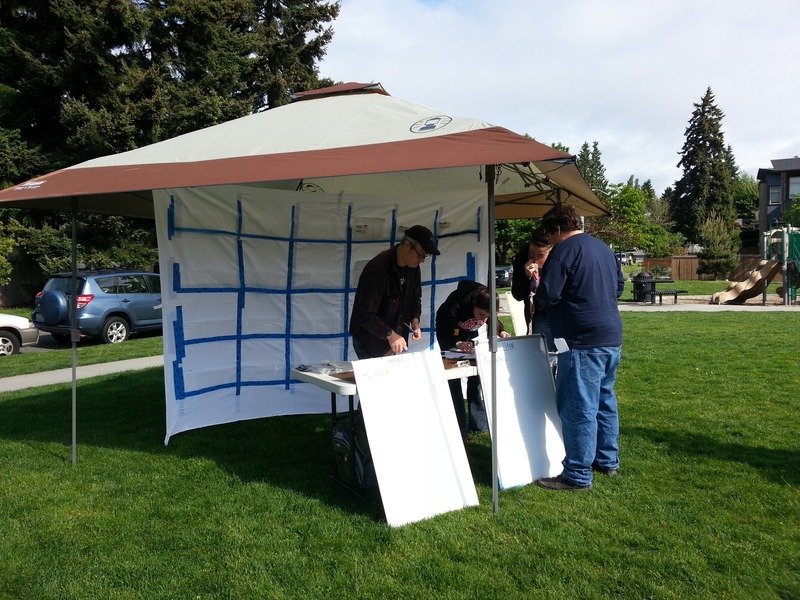 The two tents in this photo are for message management (left) and message intake (right). 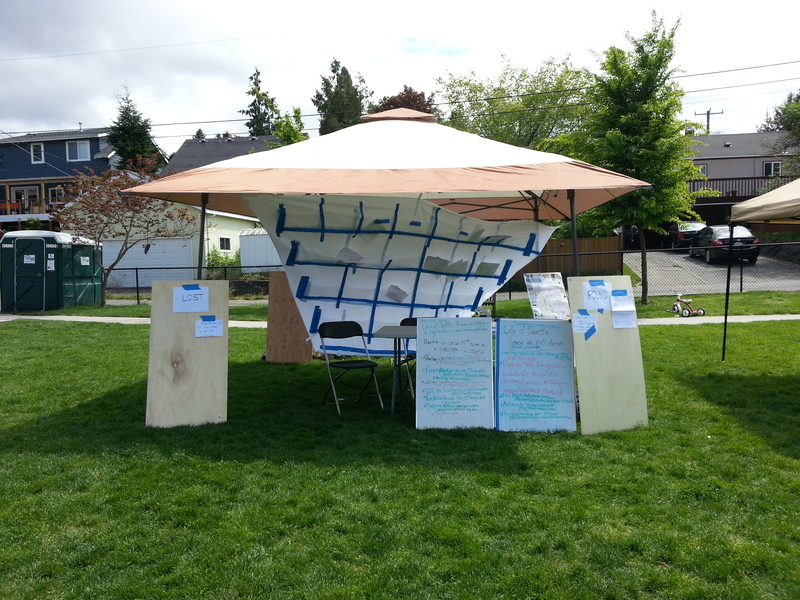 Message management tent; this is where hub staff organize all incoming information with the goal of matching resources to needs. 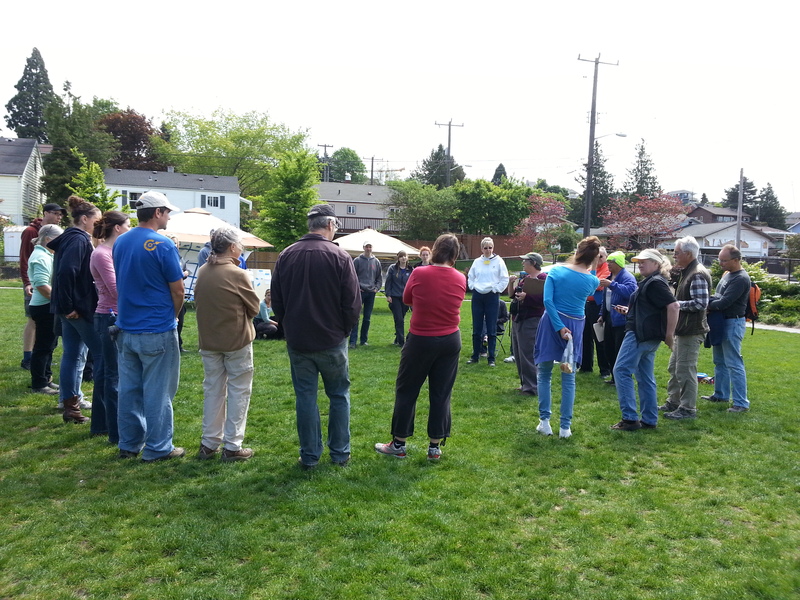 West Seattle Blog has additional details here. 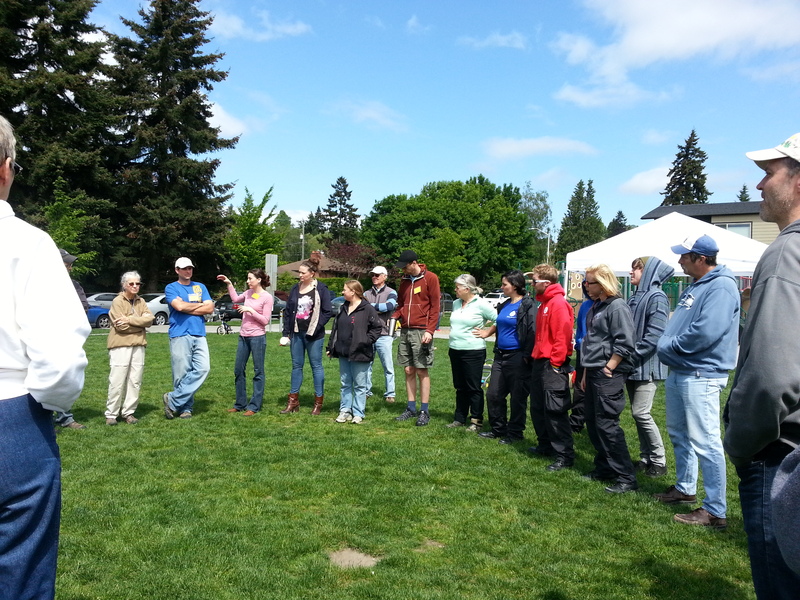 Neighborhoods throughout Seattle also participated, along with other organizations and Seattle ACS (Auxilliary Communication Services). 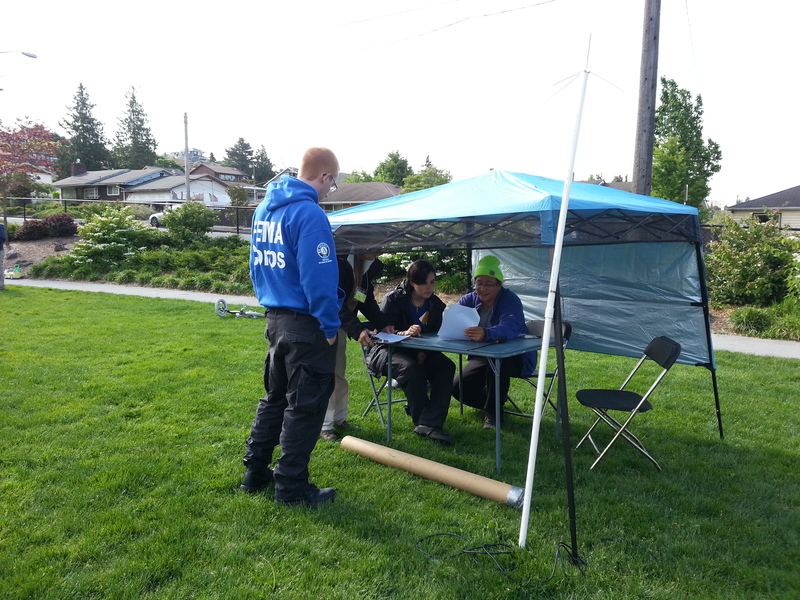 Our previous posting includes a map and background information about this drill. This entry was posted in Announcements, Earthquake Preparedness, Events, Radio Drills & Field Exercises, West Seattle Be Prepared and tagged communications drill, disaster preparedness, earthquake preparedness, radio drill, West Seattle Emergency Communication Hubs, West Seattle emergency preparedness. Bookmark the permalink.